The first week of 2018 has been a banger for Samsung, with Android 8.0 finally making an appearance. 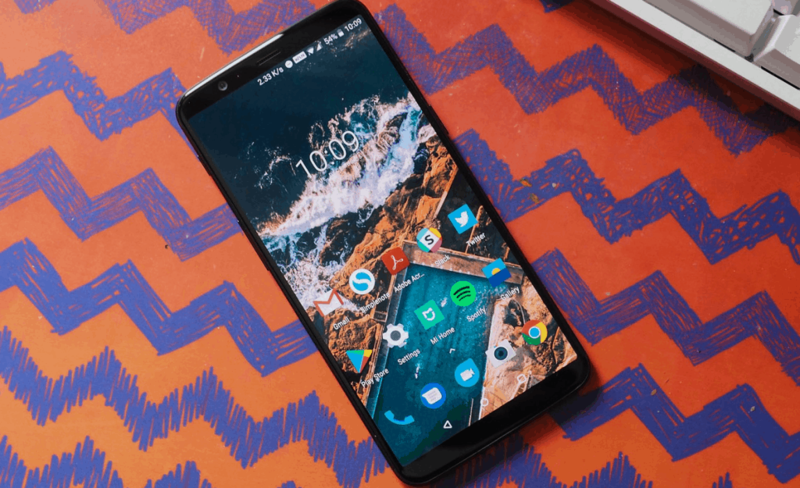 From Google’s January security update to the overflow of Oreo across Android OEMs, here’s everything happening in Updato’s weekly Android software roundup. There’s no denying the fact that 2017 was a remarkable year for Android in more ways than one. Android offered a lineup of formidable devices with industry-leading specs, to find a new standard of 18:9 aspect ratio. Going forward, cheaper Android devices are becoming better performers, while the high-end devices are breaking the glass ceiling of productivity. Almost 5 months after the release of Android 8.0 Oreo, there are big brands that are still catching up. Samsung has finally rolled out the first public release of Android 8.0, but surprisingly, it is not for the flagship devices. In the meantime, Samsung has ended the long-standing Oreo beta program for Galaxy S8 and S8 Plus devices. One lucky Galaxy Note 8 user gets stable Android 8.0 Oreo update. Galaxy S8 and S8 Plus get Wi-Fi certification on Oreo, beta program closing. 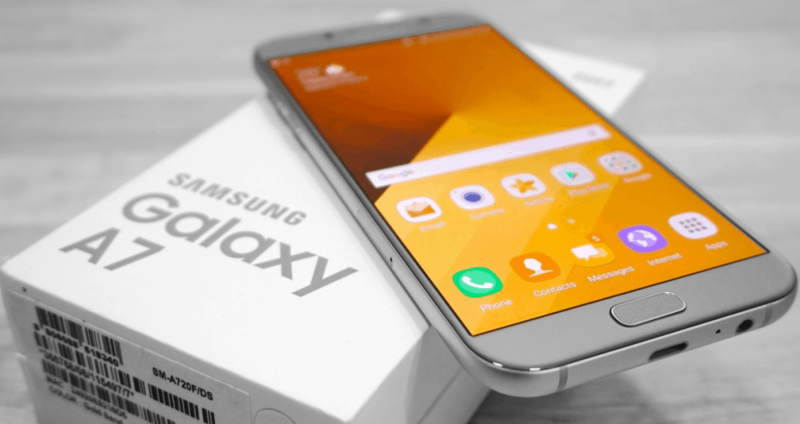 Galaxy A5 and Galaxy A7 2017 receive an update with camera improvements. Pixel 2 and Pixel 2 XL face issues after January security update. Android Oreo beta program kicks off for Huawei P10 and P10 Plus. First Android 8.0 beta update out for Honor 8 Pro. Moto G4 Play finally receives Android 7.1.1 Nougat update. Asus ZenFone 4 international variant receives Android 8.0 Oreo stable update. OnePlus 5T get Android Oreo through the Open Beta program. Google’s latest January security update is rolling out, while the latest update for Pixel devices brings some interesting revelations. In the meantime, the global market share of Oreo keeps building up as Android OEMs push forward with multiple devices receiving the Android 8.0 Oreo update this week. Here’s the weekly Android software update roundup on everything that’s new in the Android universe. The South-Korean tech company has been at the receiving end of a bunch of criticism for its sluggish software support. In the past year, top Android OEMs have updated their devices to Android 8.0, Samsung has held the backseat. Better late than never, the first Android 8.0 update for a Galaxy device is out, but an unexpected one. Apart from Android Oreo news, Samsung has also listed the security details of the January security update for this month. The Samsung beta program for the Galaxy S8 and S8 Plus has ended, while mid-tier devices are receiving updates too. Here’s a breakdown of everything Samsung users have to look forward to this week. The entire Samsung Oreo beta program is built around the flagship Galaxy S8 and S8 Plus devices. For the anticipators, it must be disappointing to know that the Galaxy Note 8 is cutting ahead in the line. But doesn’t it seem weird that the Galaxy Note 8 gets Oreo without even an open beta testing program first? If it does seem too good to be true, that’s because it is, since the Galaxy Note 8 Oreo update is apparently rolling for just one user. A user over at Reddit broke the news as their Galaxy Note 8 received the latest version of Android randomly. The Exynos-powered version of the Galaxy Note 8 carrying build number R16NW.N950FXXU2CRA1.DM brings all the goodness of Oreo. While Samsung has not addressed the Galaxy Oreo yet, the update definitely seems to be a final version. Apart from all of the promising features of Android 8.0, the update apparently also bumps up the security level to January. It took Samsung a while to get Android Oreo beta program going for the Galaxy S8 and S8 Plus. The first Oreo beta update rolled out in the first week of November, and there’ve been 5 updates in total. The end is nigh, as Samsung has finally announced that the beta program will be ending on January 15. 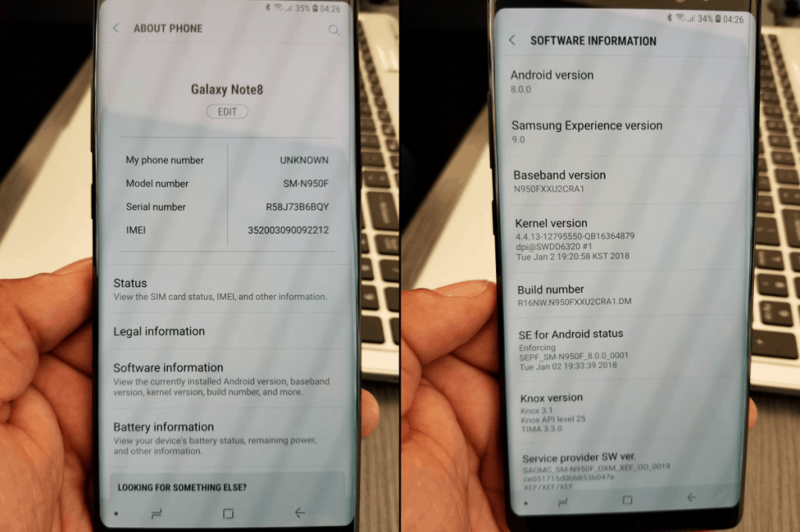 The entry for Samsung beta users ended on January 5, so it seems that the final release of Android 8.0 for the flagship is just around the corner. There’s no official date that Samsung has set for the release that we could look forward to. But there’ more than just the end of the Samsung beta program that’s signaling the imminent release of Oreo. SM-G950F, SM-G950N, SM-G950XN, SM-G955XN, SM-G950XC, SM-G955F, SM-G950FD, SM-G955FD, SM-G955N, SM-G950X, and SM-G955X. Apart from the list of vulnerabilities patched by Google’s monthly Android security update, Samsung has a set of fixes too. The latest security maintenance update from Samsung highlights 5 critical fixes for exploits and dozens of other high-risk vulnerabilities. Oddly enough, the first Galaxy device to get the latest security update is the Galaxy Tab A 2016 edition. The latest update to firmware version T285DDU0AQL3 comes to the two-year-old tablet that is still stuck on Android Lollipop 5.1.1. The current flagship devices will most likely get the January security patch along with the final Android 8.0 update. 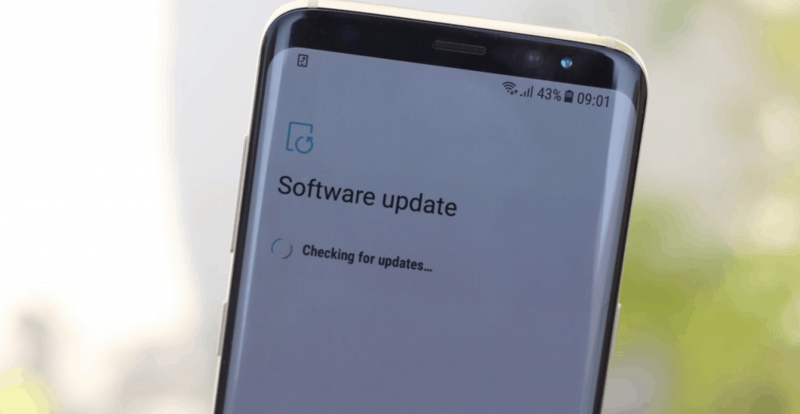 However, Samsung’s slow software rollout is finally bringing December security update to certain devices. Galaxy S6 Edge+ is getting the security update from last month right now, carrying the firmware version G9280ZCU2CQL1. Alongside comes a feature-rich update for the Galaxy A7 2017 and the Galaxy A5 2017 models with new camera features. Apart from the update that brings features like “Selfie focus” and “Selective focus” to the Camera app, the update also brings the December security patch along with it. The OTA update is rolling out incrementally, so wait for the update notification to pop up any time now. You can also go ahead with a manual update by heading over to Settings – Software update – Download updates manually. 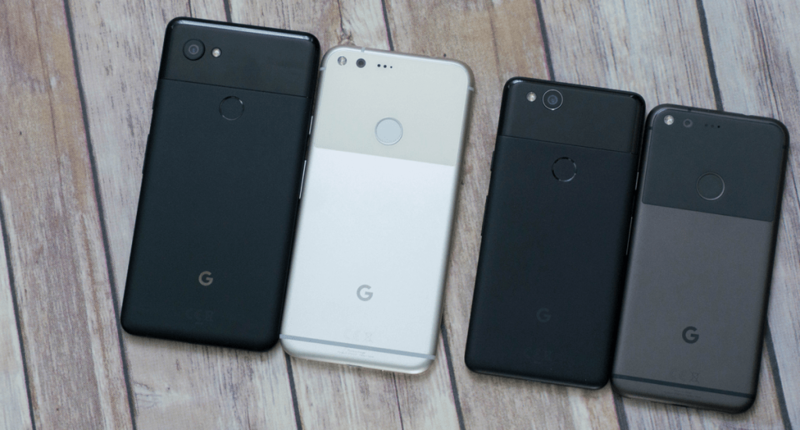 Despite sitting comfortably in the top position with some of the best Android devices of 2017, Pixel has faced issues. Starting with the screen burn-in issues and lack of eye-popping colors on the Pixel 2 XL, sailing hasn’t been smooth. Nonetheless, Google seems committed to the Pixel devices, with the latest update bringing more than just a security bump. Although Google has made no formal announcement, the Canadian network carrier Telus has published a changelog for its supported devices that shed some light on the latest update. Apart from the monthly SMR (Security Maintenance Release), the update allegedly brings “anti-aging display improvements”. While there’s no way to know what the improvements exactly are since Google isn’t bragging about their feat just yet. The update covers not just the Pixel 2 and Pixel 2 XL, but even the flagships from last year. Similar to the previous update, the latest update for the Pixel devices is not without issues and controversy. Google started rolling out the latest batch of security updates for the Pixel devices of the current and previous generation. However, users have begun reporting slow response time and lagging issues on their Pixel devices right after installing the latest update. Not only is it taking a couple of seconds to launch apps, but returning to the home screen is lagged too. Google has already responded to the reports and highlighted that the issue is rampant on devices that sideloaded the update. The fix is quite easy, all you need to do is reboot your Pixel and the lag should go away. 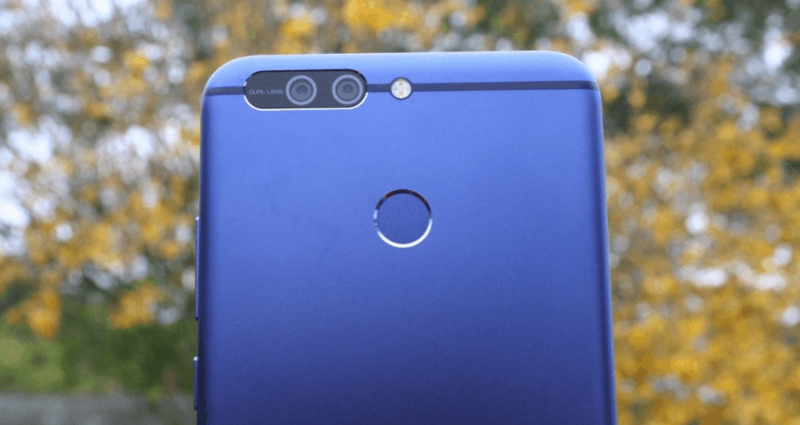 The largest player in the Chinese tech space offered a roadmap for the Huawei and Honor Android devices Oreo update. As the new year kicks off, the company is quick to get to work on the Android 8.0 update. Oreo for Huawei is currently rolling out for two major devices, with others to catch up very soon. After the Mate 9 became the first Oreo-powered Huawei device, the company is driving forward with the beta program. 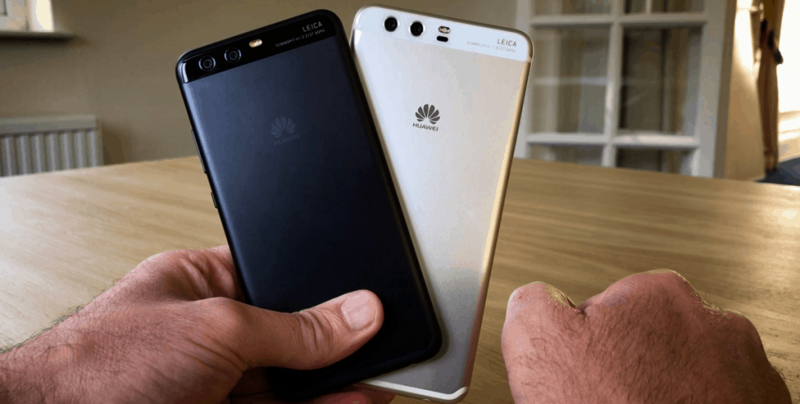 The Chinese variants of the Huawei P10 and P10 Plus are the two devices that broaden the Oreo market share. Although the program hasn’t been extended to international variants just yet, regions in Europe are expected to catch up soon. The beta program for the Huawei P10 and P10 Plus comes with the following software versions: VTR-L09C432B180, VTR-L29C432B180, VKY-L09C432B181, and VKY-L29C432B181. Head over to Personal -> Join project -> Available projects from the Huawei beta app and enroll in the program. Apart from getting the latest beta updates via OTA, the app allows you to report issues and suggest features. The Honor 8 Pro flagship has just received the first taste of Android Oreo with the beta update. The highly anticipated update is currently rolling out for the users enrolled in the program with the Huawei app. The update carrying firmware build DUK-L09 8.0.0.305 is currently rolling out for users in the Indian subcontinent. Considering the incremental nature of the rollout, the OTA update for other regions should be on the way soon. Motorola generally enjoys a positive opinion when it comes to delivering software updates on time. However, the Lenovo-owned company has its shortcomings every now and then, taking forever to bring out updates for budget devices. 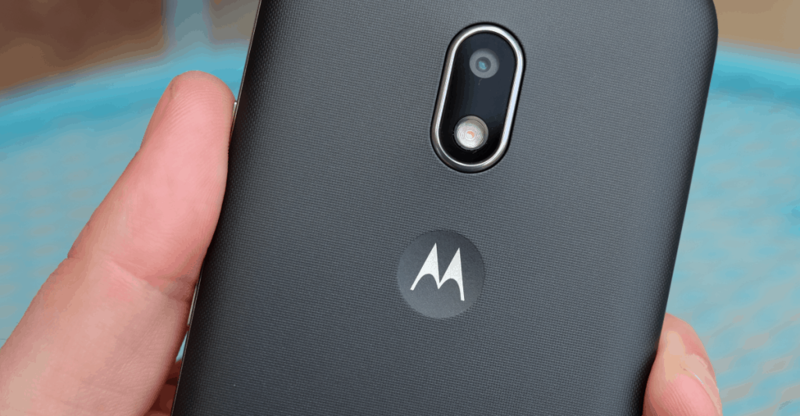 Better late than never, Motorola is finally bringing the anticipated Android 7.1.1 Nougat to the Moto G4 Play. After an extensive soak test that has lasted since Summer, the update finally rolling out Nougat for the two-year-old device. Apart from the upgraded features and optimizations, the latest update also bumps up the security level to November 1. Another manufacturer joining the Oreo gang is Asus, with the ZenFone 4 joining the ranks. The stable Android 8.0 update is currently rolling out on the device through FOTA (firmware-over-the-air) for the ZE554KL model. The software version V15.0405.1711.76 for the ZenFone 4 global model includes all the goodness of Oreo with improved Doze mode, Picture in Picture and more. You also get a brand new settings UI design, an upgraded launcher, swipe gestures and reimagined app icons. There’s a bunch of variants (ZenFone 4 Selfie, ZenFone 4 Selfie Pro, ZenFone 4 Pro) that are still running Nougat. Oreo for the other ZenFone 4 variants should be on the way soon and we’ll keep you posted on it. The Chinese tech company is finally positioning itself as a bigger player in the Android game with dependable software updates. After rolling out the Android 8.0 Oreo update for the flagships of last year (OnePlus 3/3T) OnePlus is on track to bring the same to the 2017 flagships. The OnePlus 5T didn’t debut with the latest Android OS, but it’s now closer to the update than ever. The latest Open Beta build for OnePlus 5T brings Android 8.0 beta, with a brand new launcher and updated UI design. All of this comes included with the best of Oreo in the form of the new Settings menu, Notification channels, Picture in Picture mode and more. 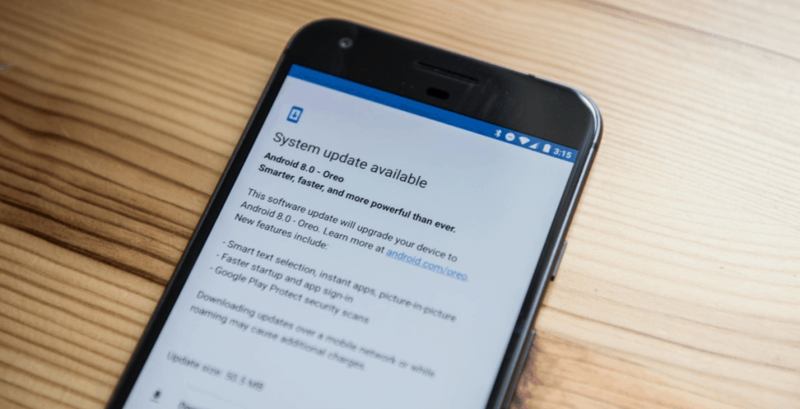 Are you among the lucky users getting the Android 8.0 update finally after the long wait? Own a device that recently got an OTA update that we’ve forgotten to cover this week? Be a sport and join the conversation in the comments section down below.